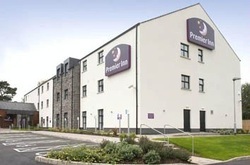 Close to the A1 and the M1, Premier Inn Lisburn is a comfortable base about 10 miles southwest of Belfast. The hotel benefits from a Table Table restaurant serving good quality fresh meals throughout the day. There is free on-site parking available. Book direct for the best Premier Inn Lisburn deals.